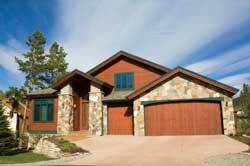 Indian Hills Property Management, Indian Hills Property Managers, Indian Hills , CO Property Management Companies. Bear Paw Stanbro is a full-service Indian Hills Property management company, providing services for residential properties.. This is our most popular option. Bear Paw Stanbro will handle all aspects of your rental property 24 hours a day, 7 days a week. If you would prefer not to get a phone call at 3:00 a.m. about a leaking water heater, this option is for you. This option is if you would prefer to handle the day-to-day management of your property but need someone to find a qualified tenant. Bear Paw Stanbro will handle the first 8 items on the list above. After the lease is signed, the funds will be released to the owner. The management is then the responsibility of the owner for the length of the lease. Why choose Bear Paw Stanbro Property Management? Bear Paw Stanbro Property Management, Inc. is a family-owned property management company well established in Indian Hills and the surrounding areas. Eric Gill and his mother, René, purchased Bear Paw in 1997 then purchased and merged with Stanbro in 1998. Since then, the company has grown to managing approx. 275 properties. All properties are located in Indian Hills, Genesee/Golden, Lookout Mountain, Indian Hills, and Bailey. We have a long and proven track record in the property management field, take pride in our exceptional service, and look forward to showing you why we are the best. How do you advertise vacancies? Who pays advertising costs? Our Own Website at www.Bearpawrentals.com that shows descriptions, pictures and map links to your property. Weekly classified ads in the local paper, Canyon Courier, which also has its own website for more access. Additional ads may be placed in the 285Hustler and High Timber Times, based on property location. Printed flyers are posted on our office window for people walking down Indian Hills’s high-traffic Main Street. Local Real Estate agents and offices receive our available inventory listings on a bi-weekly basis. Interested parties who walk into our office receive a list of available properties. A sign will be put up in the yard or window, along with printed flyers, depending on location. We may run ads on various websites including Zillow, Rentals.com, Trulia, Craig’s List, etc., as needed. **All advertising costs are at the property owner’s expense. Bear Paw will collect a $300 advertising deposit upon signing of the management agreement to cover costs. Costs are $45/wk on average. Any balance remaining upon leasing of the property will be returned. What is your screening process for prospective applicants? 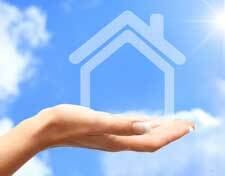 Placing qualified residents in your property is one of the most important goals as your property management company. We are very diligent with our screening for prospective tenants. We encourage you to review our rental application, policies and procedures as provided to each prospective tenant. Our professionally trained staff processes all applications in our office. We obtain a credit report and criminal report for each applicant, contact current and previous landlords for rental references, and verify current employment and income. John D. Parmalee (1813–1885) came to Colorado in 1860 and settled in Mount Vernon. In 1866, he was granted a charter for a toll road between Morrison and Bradford Junction (Conifer); the Denver and Turkey Creek Toll Road opened in 1870. Parmalee also operated sawmills and shingle mills in the area. He was later commissioned to build a road from Turkey Creek to Bergen Park, along what is known as Parmalee Gulch.